Today’s OOTD was inspired by the anchor 3/4 sleeve tee from The Limited, picked up at 50% off earlier this week, along with a few other goodies (see Haul-A Monday post next week). 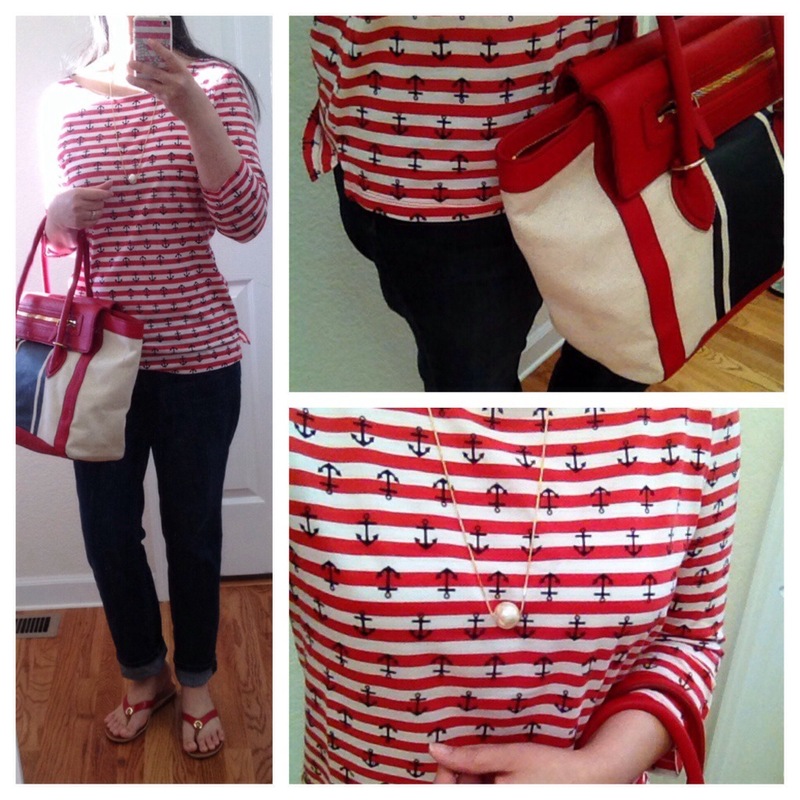 Love the patriotic flair of this outfit and who doesn’t love an anchor motif? Hope you’re all having a lovely Friday!! That’s it for now! Photo details below: My jeans are actually from The Limited, necklace from Anthropologie and Report red flip flops from Nordstrom Rack (old). That outfit has some really nice pieces that make it go so well together! Thanks for visiting my blog — just checked out your blog…lovely…just followed!